Realistically detailed plastic animal playsets encourage learning about the natural world. 10 pc. 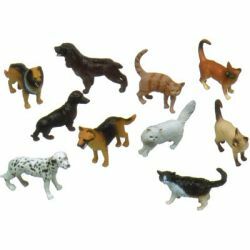 pets set includes favorite dogs and cats. Approx 5" measured diagonally.